“I have been an aid worker for more than 15 years and worked on some of the worst humanitarian crises of the 21st Century from Niger to Syria. I didn’t think there were many things left that could shock me but what I saw on the ground in Hodeida, Sana’a and Aden when I visited this month chilled me to my core. “To make matters worse, fears are now rising that we could be on the brink of a fresh cholera epidemic, with the disease believed to have infected well over one million people. “For the last four years, the people of Yemen have been held hostage to bombs, bullets and been forced to endure a near total collapse of basic services such as health and sanitation which have claimed tens of thousands of lives. While there were hopes that the initial agreement for a ceasefire in Hodeida would have held, our staff in the city are telling us of an increase in heavy fighting and are seriously concerned for the impact this will have on civilians. The warring parties must adhere to the ceasefire and allow aid agencies to carry out life-saving interventions. 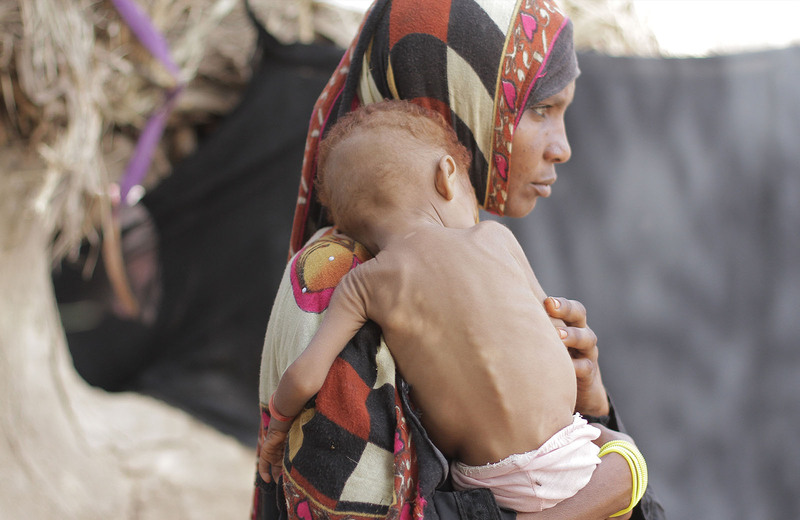 Ahmed Ali had to sell all of his sheep to treat his daughters for severe malnutrition. His six children often have to share a biscuit between them as that’s all they have. 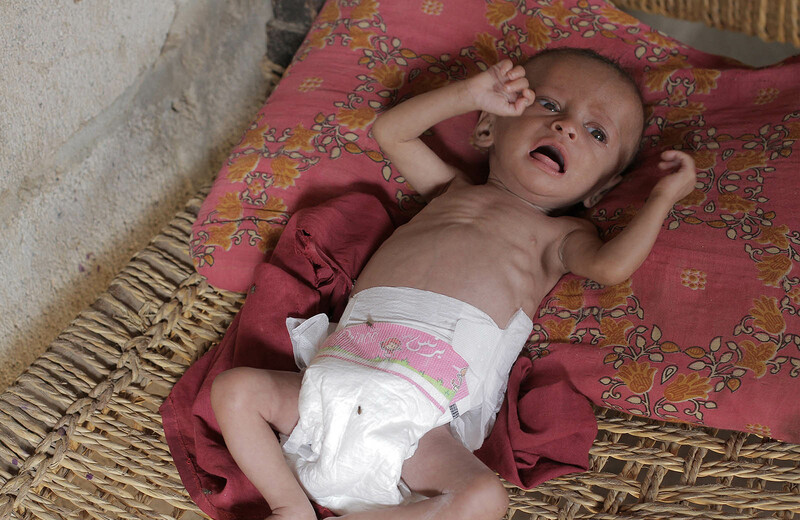 His wife was malnourished while pregnant and now their new-born baby Abbas, pictured, is severely malnourished. Shoeyah was also malnourished while pregnant and she is not able to produce breast milk for her baby Adnan, who is severely malnourished. 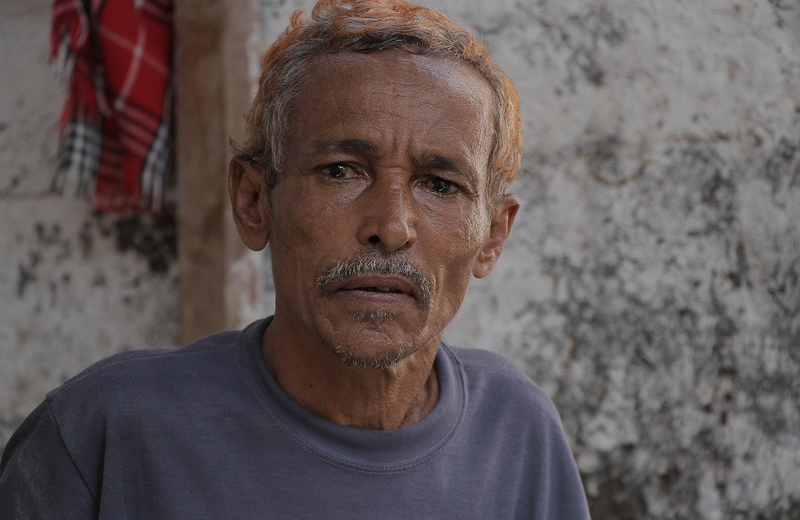 Mohammed Abdu also had to sell his livestock to feed his children. He used to travel to Saudi Arabia for work but can no longer do that because of the war. 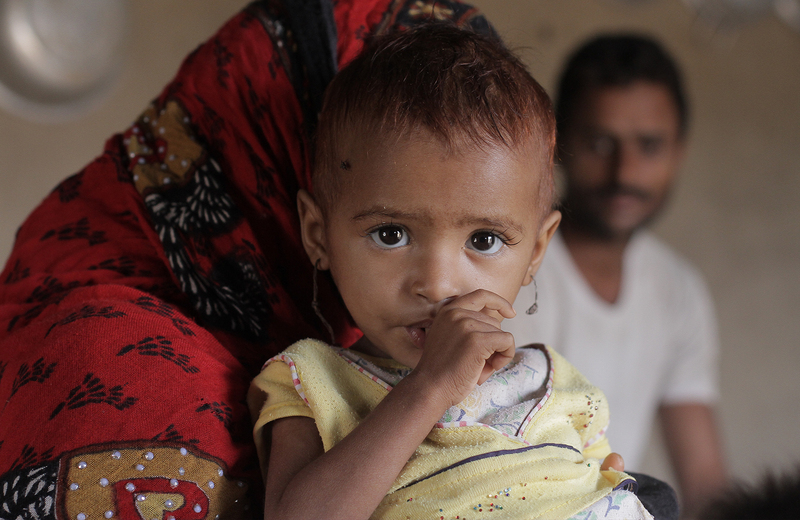 His daughter, Eryam, pictured below, is severely ill with malnutrition. He took her to be treated and this didn’t work, so he tried a local custom – branding children with hot iron – effectively to take the mind off the pain of hunger with a greater pain. Ahmed Mor’ie fled for his life with his family after his sister’s house was bombed killing one of her daughters and injuring another. They walked for miles and are now struggling to survive having to pay rent for one room that houses a family of eight. Two of his children returned to a conflict zone to fish as they are so desperate for money. Working in 17 governorates, including in very remote areas, last year alone Islamic Relief assisted more than 2.6 million vulnerable people – providing food, clean water and sanitation, helping to rebuild livelihoods and treating malnutrition. We are now stepping up food distributions across Yemen and alongside the World Food Programme, will deliver much needed food supplies to 2.2 million people every month. Islamic Relief recently pledged to spend $7.6 million on humanitarian efforts in Yemen at a High Level pledging conference in Geneva in February.